The case, in titanium, measures 39.5mm. It has an AR-coated sapphire crystal, a sapphire display back, and it is water resistant to 30 meters. 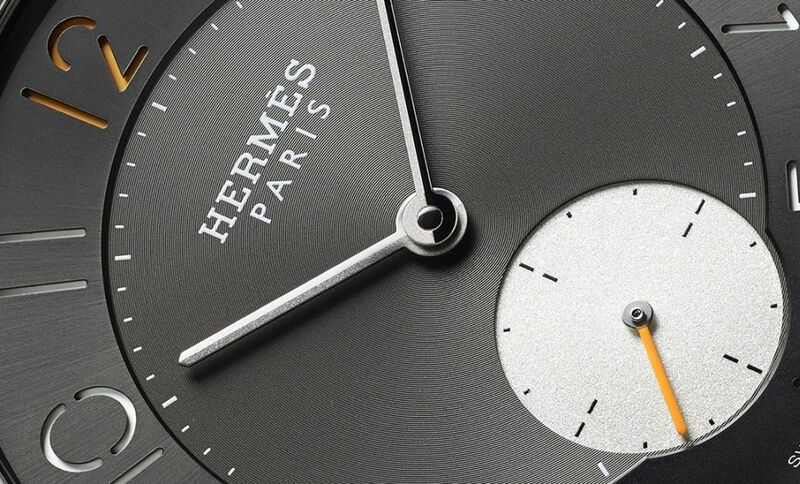 Movement is the Swiss automatic ultra-thin (2.6mm) Hermes in-house caliber H1950 with 29 jewels, 21,600 vph and a power reserve of 42 hours. Functions are: hours, minutes, and small seconds at 6 o'clock. 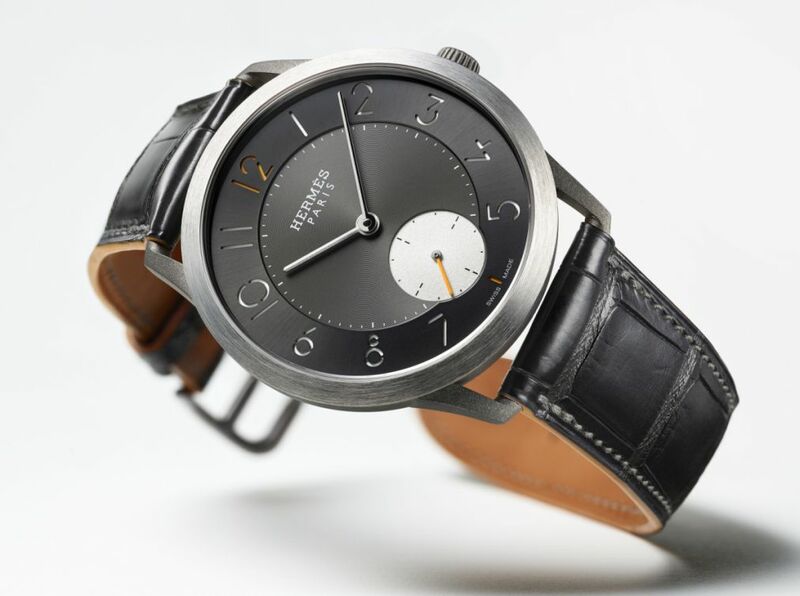 The movement is adorned with a sprinkling of Hs and hand-bevelled bridges. 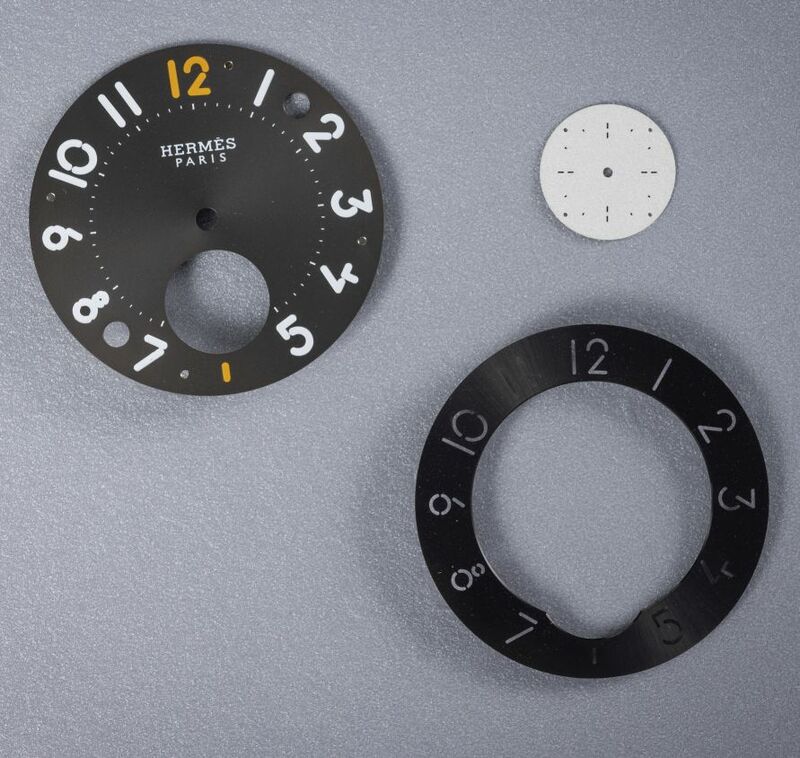 It has a 3-part dark-grey dial. Chapter ring with openworked Arabic numerals. Snailed dial center with white and orange tones under the chapter ring. Grained crystal small-seconds counter. Rhodium-plated hour and minutes hands. Orange seconds hand. 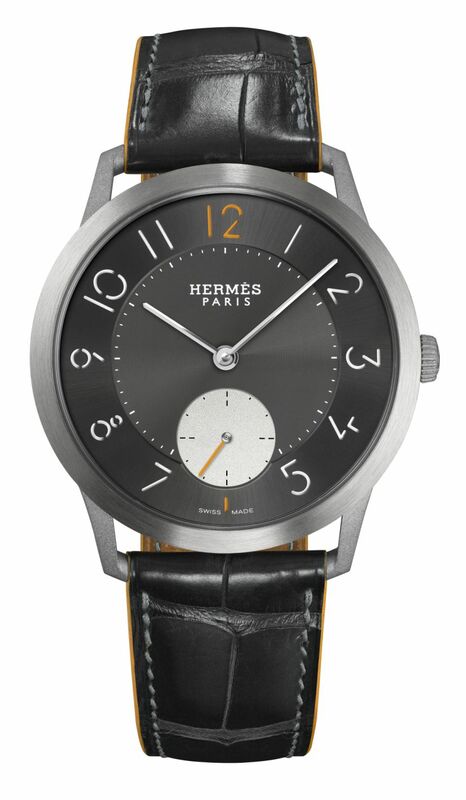 It comes on a matte graphite Hermes alligator leather strap, with orange burnishing, and a titanium pin buckle.